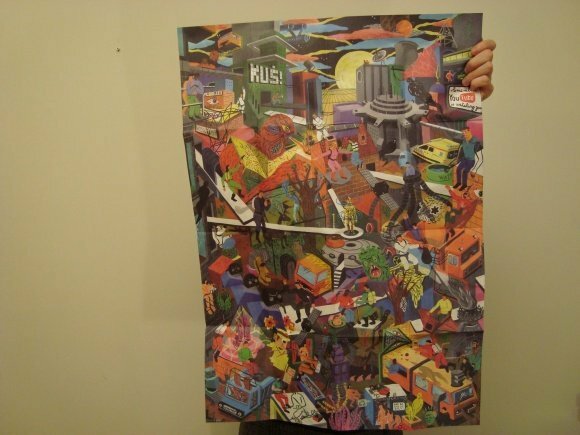 Home / Shop / Without Words / KU foldout kuš! 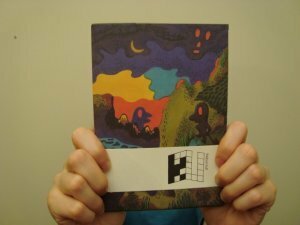 Categories: Comics & Graphic Novels, Magazine, Without Words. 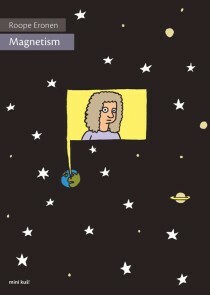 Tags: distro, Kus, magazine, mini kuš!, s!. no text, but English description on the back. 5 International artists lead you through a colorful travel through the dark ages of human times as you unfold this poster magazine. Marcus Nyblom from Sweden, Latvian Oskars Pavlovskis, Lai Tat Tat Wing, a Manhua artist from Hong Kong, Patric Sandri, illustrator from Switzerland, and Brecht Vandenbroucke from Belgium.